For lunch I ate a mess of different things. It was a clean out the fridge sort of meal. I had the chicken and cabbage from last night’s dinner. 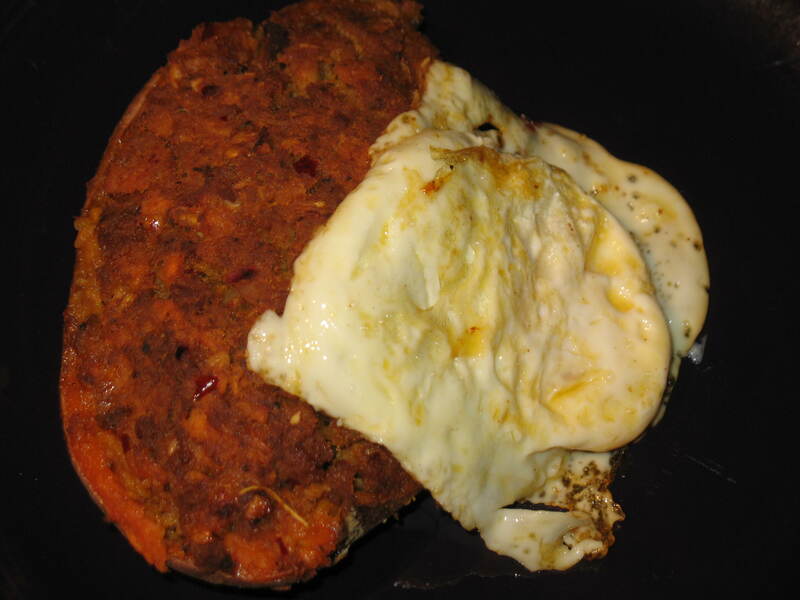 A Stuffed bell pepper primal and not paleo because of the addition of cheese. One meatball with tomato sauce homemade from the garden. Actually all the vegetables in this meal are home grown! I snacked on some raw zucchini. Rawr! 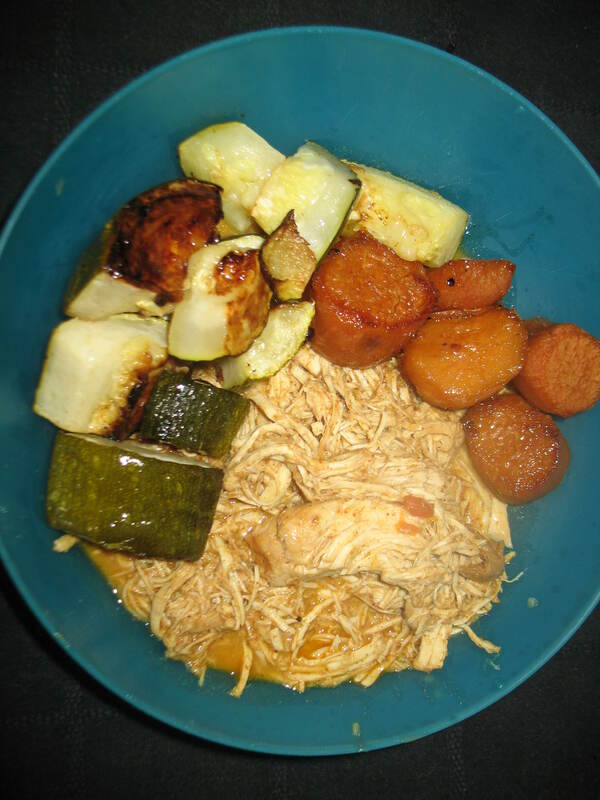 Dinner was Tandoori chicken with sweet potatoes (canned and gifted from my lovely friend Sarah) and zucchini. If you are noticing a zucchini trend it’s because we have tons of it the size of small babies coming from our garden. 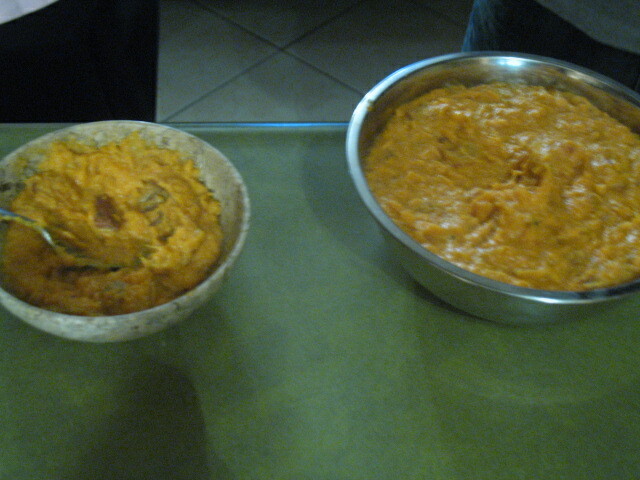 The tandoori was a paste I bought at the store. It doesn’t contain any sugar so I can recommend it to my paleo pals. I used a few spoonfuls to marinate the chicken overnight then added coconut milk and let it slow cook while did Helen in the rain. 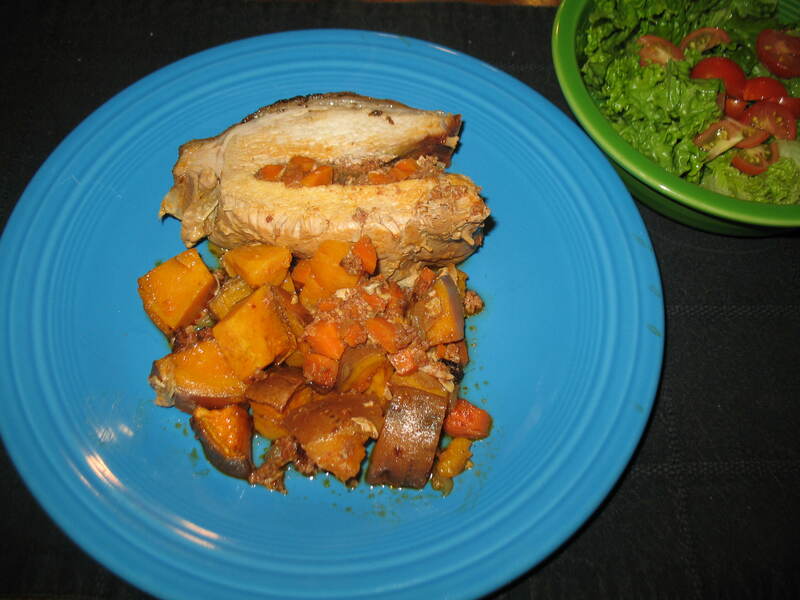 Paleo tip #2 – use what’s in season. It’s cheaper, it’s fresher, and better for you. My general rule is that if you are paying much more than $1 a pound, it’s not in season. This of course doesn’t apply to certain veggies. I can never find asparagus or artichokes that cheap. If you can’t find it fresh go frozen. They freeze it in peak freshness so it’s pretty close to being fresh. Canned is okay if you watch the salt content. This weekend we were invited to a paleo brunch. It was a great time hanging out with the crossfitters and enjoying some food. I’ve said it before but they are a great bunch of people! I love hanging out with them. This was my contribution to the meal. t and I bought some sweet potato tots from the store thinking they might be healthy. We didn’t look at the ingredients. They were a sugar and flour bomb! So we came up with this as paleo alternative to those delicious but bad for you treats. 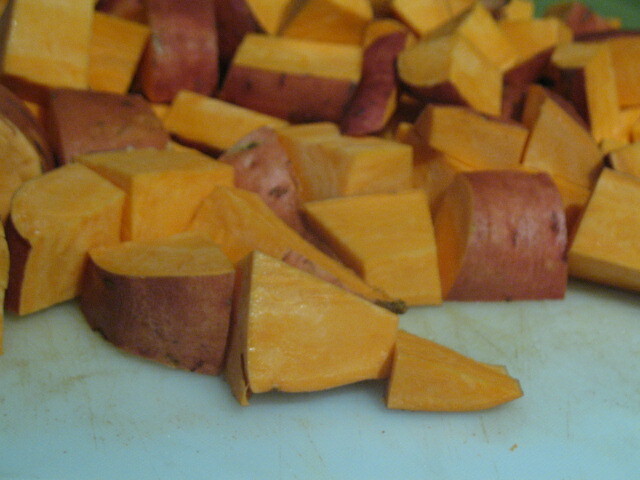 Shred and parboil the sweet potatoes. Keep an eye on this step. You are looking for them to just start to get soft. 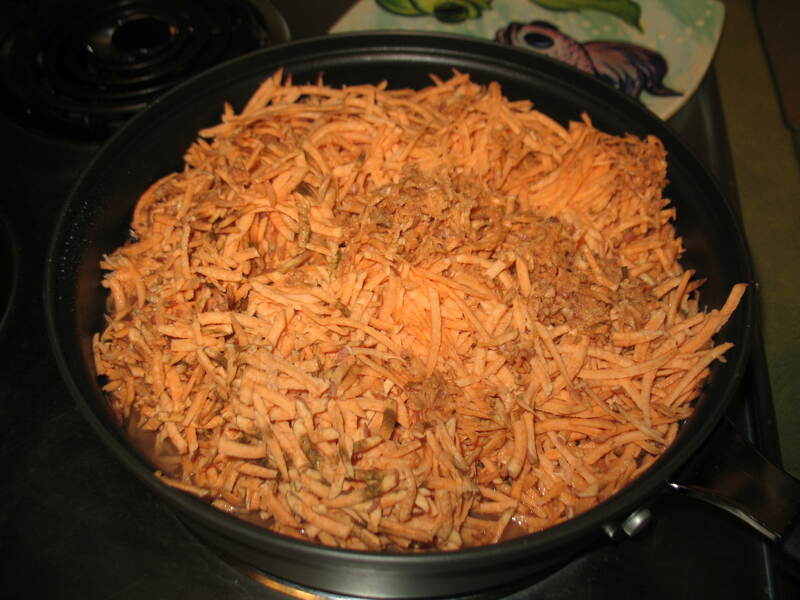 I over cooked mine and they didn’t keep their shredded shape and ended up more like a mash. The taste was still good just not the consistency I was looking for. 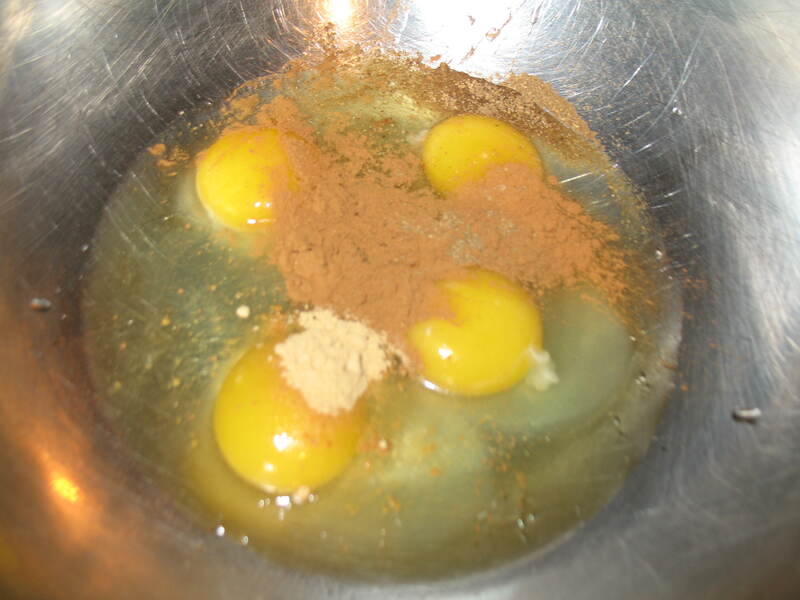 Mix 4 eggs with all the seasoning and the honey. 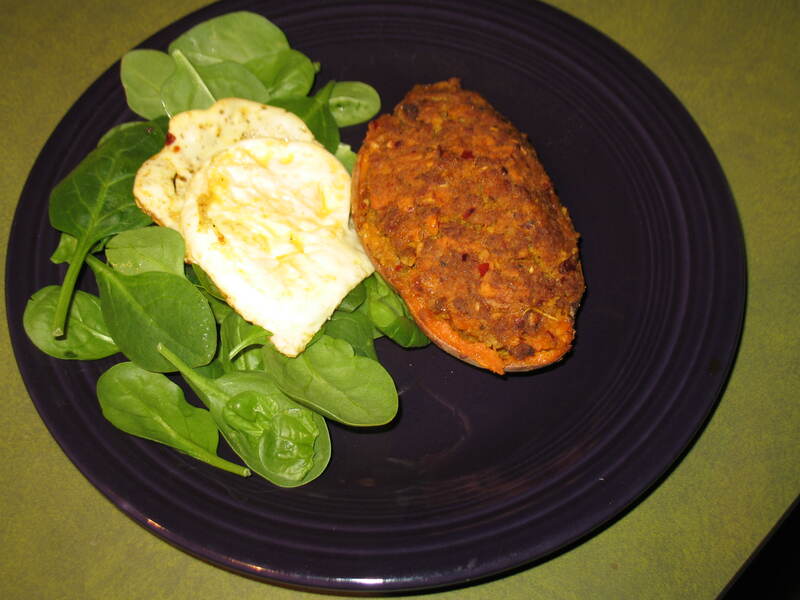 When the shredded sweet potato is cool enough to touch add it to the eggs. 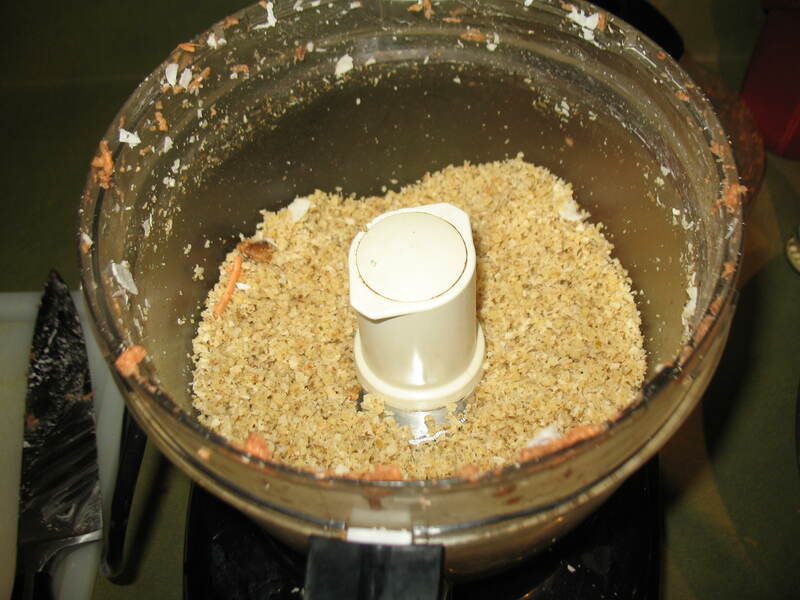 In a food processor grind the walnuts and coconut into a fine crumb. Oil a deeper cookie sheet with the fat of your choice. I used bacon fat. 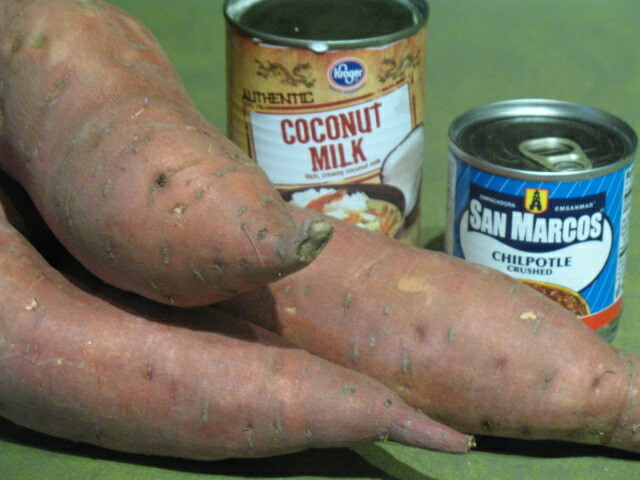 Spread the sweet potatoes in. Sprinkle the crumbs on top. 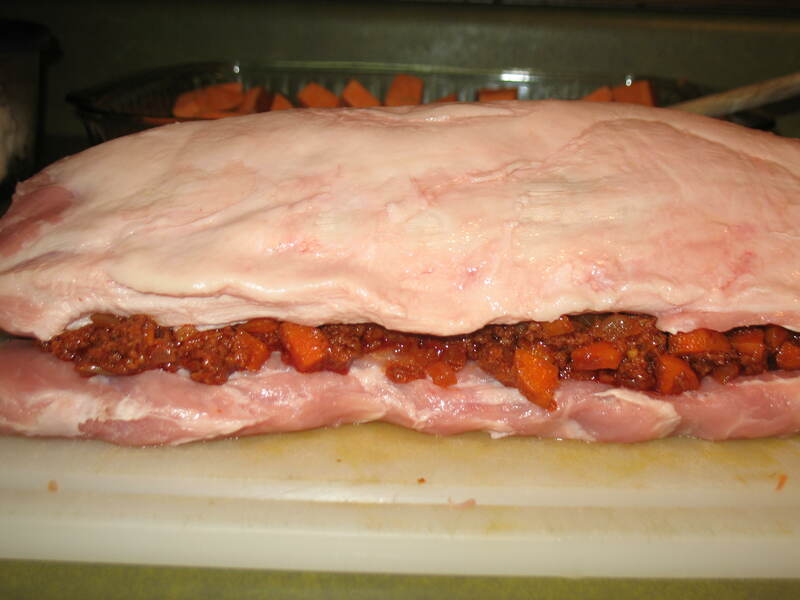 Bake this uncovered at 350 for 30 minutes. Cut and serve immediately so you can eat it with your fabulous friends at brunch. I love a good roasted chicken. It is such a comfort meal for me. If you do it this way it is also a complete meal with vegetables and meat. 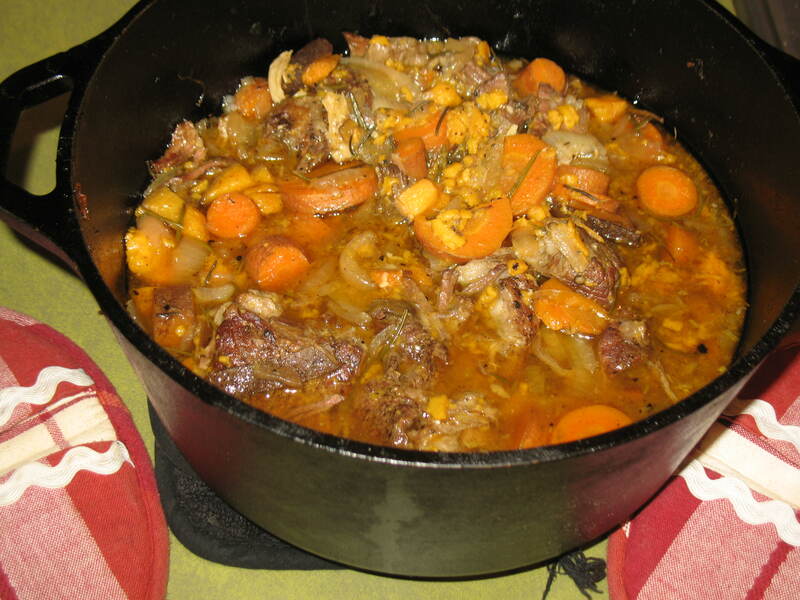 Whole chickens are usually quite cheap and provide enough meat for a few meals you can also make stock from the carcass if you are so inclined. This meal takes longer because it is a whole chicken. 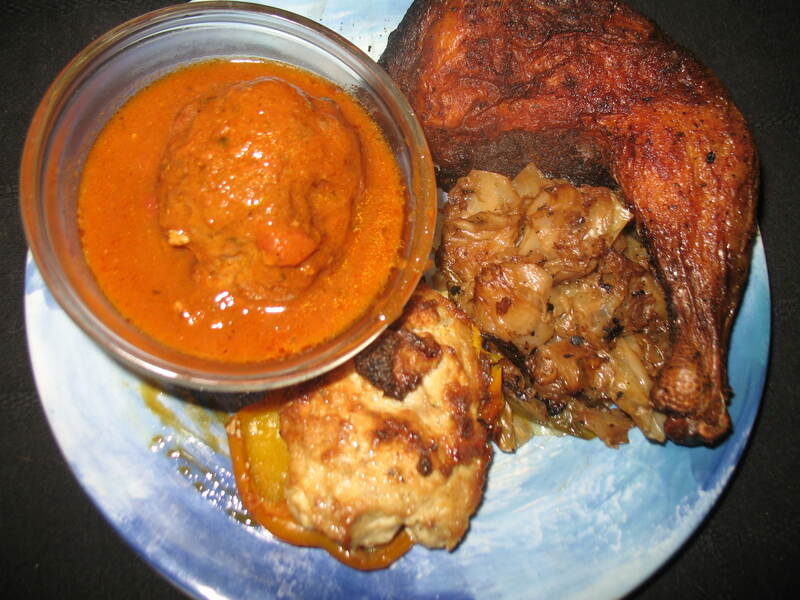 If you were to cut the chicken in half or use chicken parts it will reduce the cooking time. Mix Italian seasoning through black pepper in a small bowl. Sprinkle evenly all over chicken reserving a little for the vegetables. 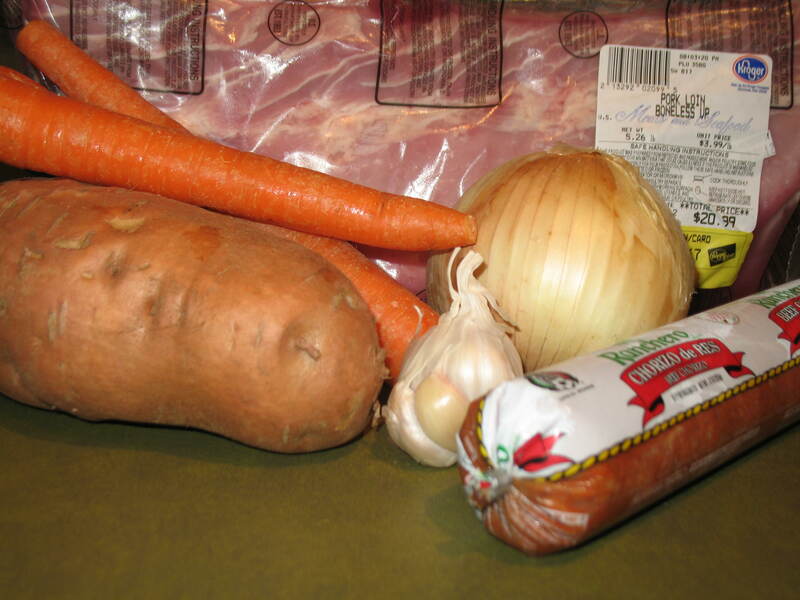 Chop all vegetables and potato in large chunks. Carefully stuff some pepper slices beneath the skin of the chicken. This helps impart flavor while cooking and retains moisture. 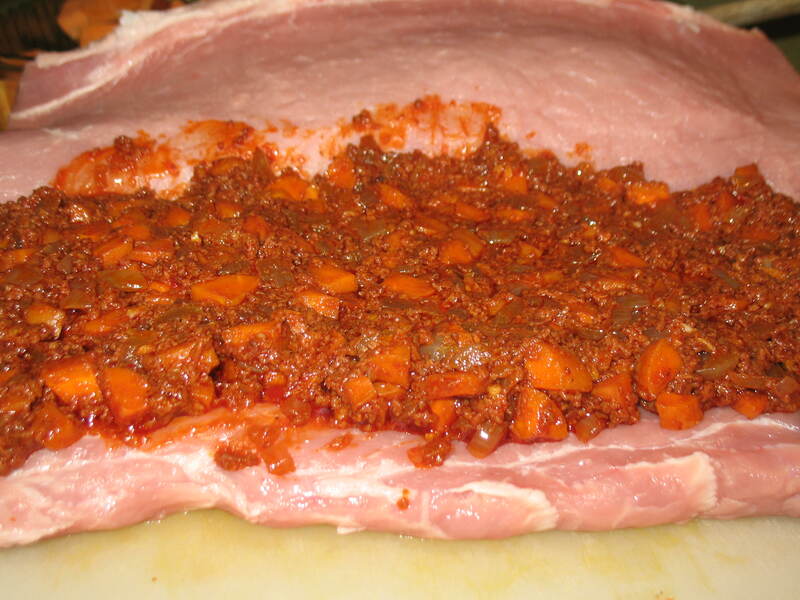 Place remaining pepper slices along with onion inside the cavity of the chicken. Coat the bottom of a large oven safe dish with olive oil. 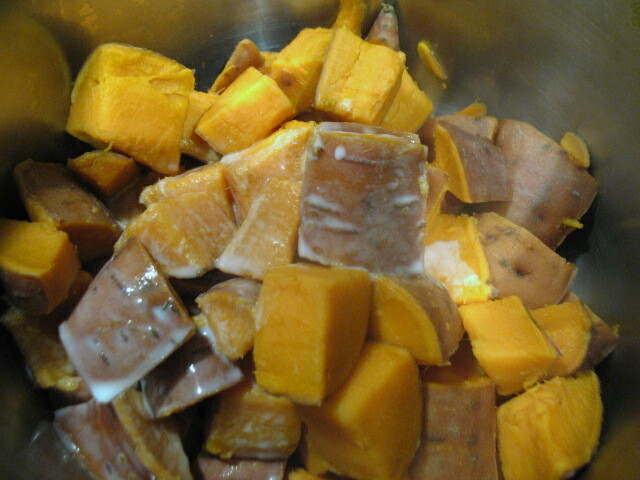 Put in carrots and sweet potatoes, with remaining seasoning and toss a few times to evenly coat. 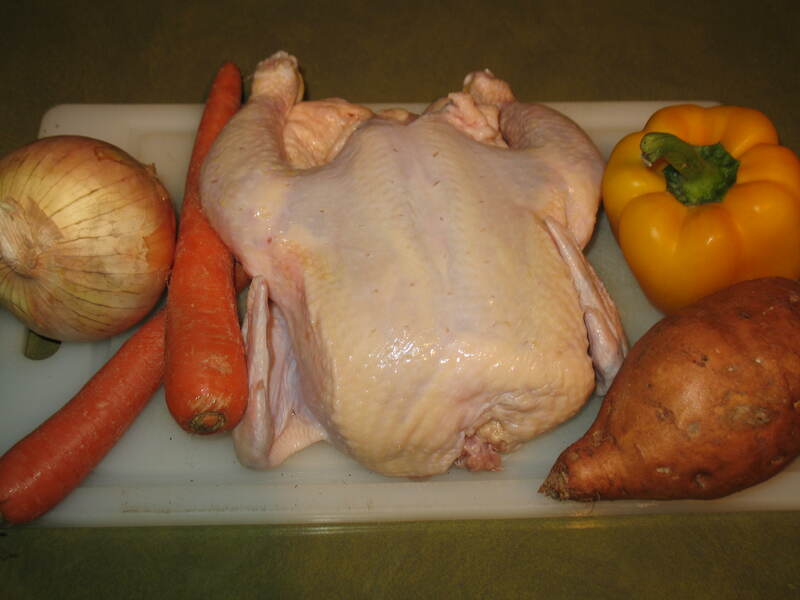 Push vegetables out of the middle and place in your chicken. 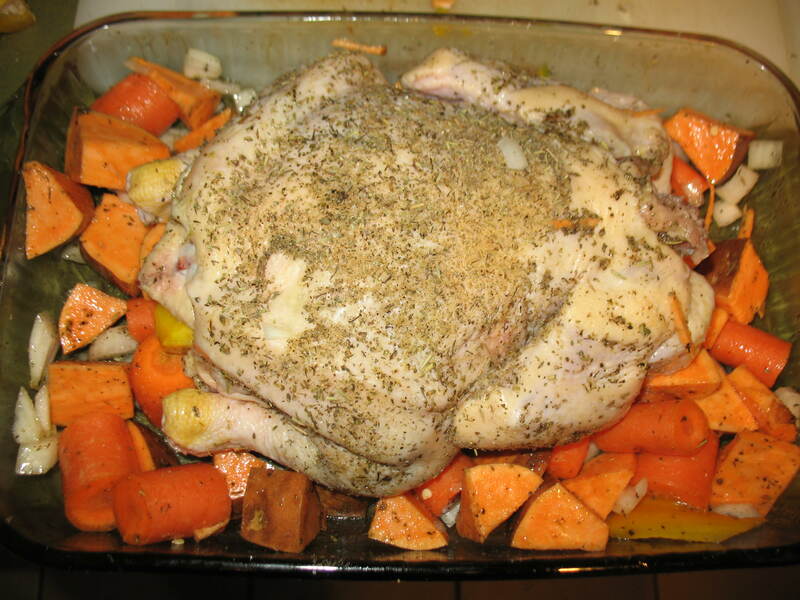 Cook chicken and vegetables uncovered at 350 for about 1.5 to 2 hours. Check internal temperature before serving. Chicken should register 180 at the thigh. If liquid is still pink then your chicken is not done. 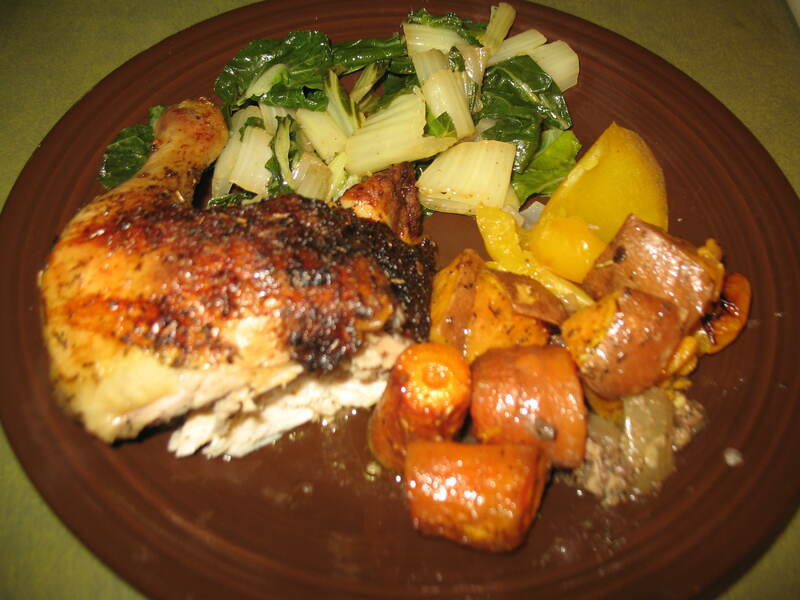 Let chicken rest for a few minutes after cooking so that the juices go back into the meat before cutting. I served this with bok choy. It is a dark green, leafy, vegetable with a thick, white, stalk that resembles celery. 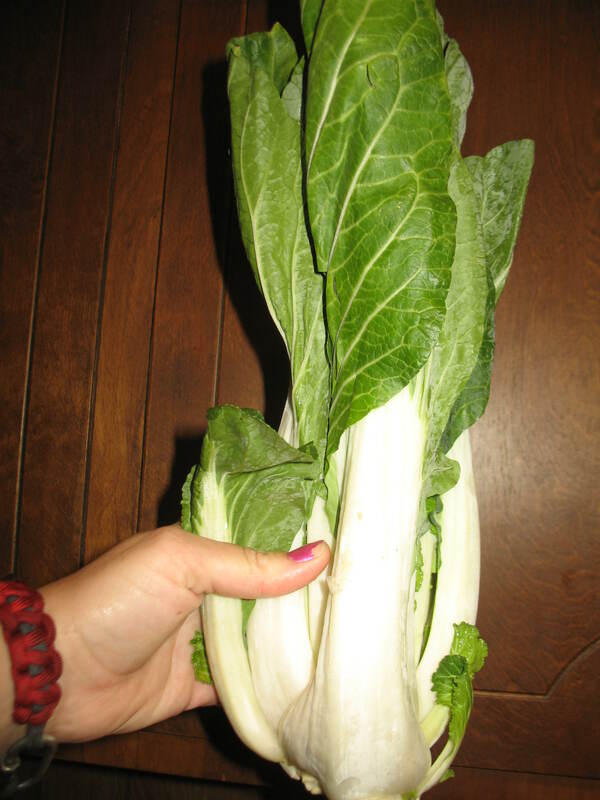 It is related to cabbage and popular in Asian cooking. I highly recommend you try it. 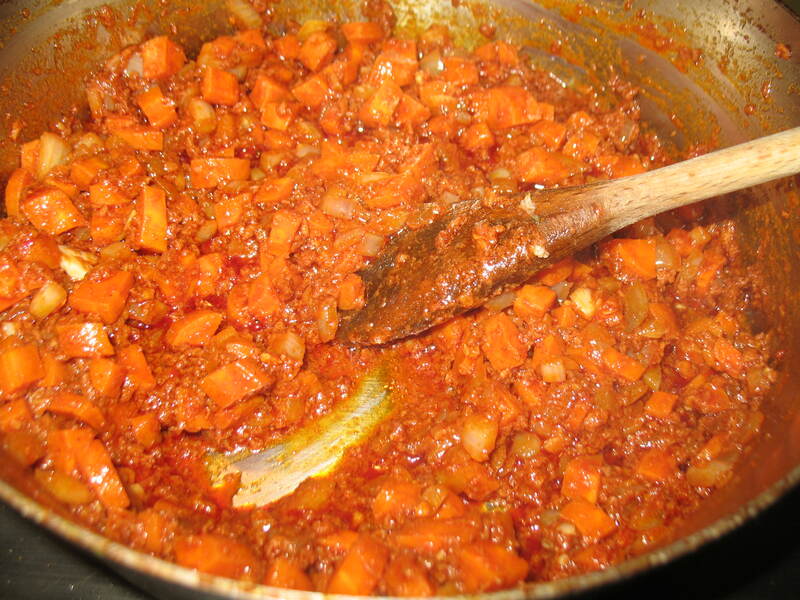 To cook you will need to wash the vegetable thoroughly. Trim off the leaves and cut like you would greens. The stalk is delicious so do not throw it away. Slice the white stalk in large chunks. Sauté the stalks first as they take longer to cook. I used a little olive oil and some Cajun seasoning for them. Sauté those on medium high heat until they become soft, about 5 minutes. Add leaves and cook until wilted, about 2 minutes. The stalks become soft and buttery when you cook them. It is a really tasty vegetable. 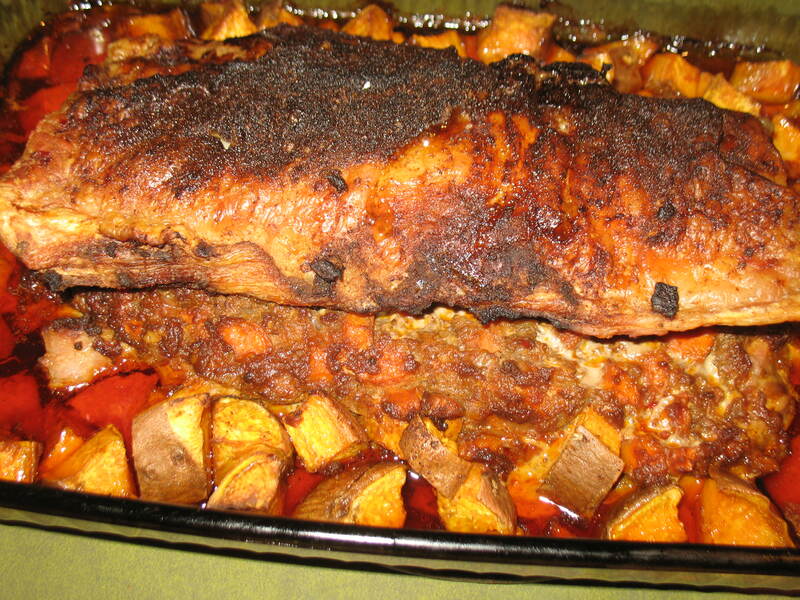 This meal was a perfect comfort meal with enough leftovers for at least a lunch or two. The Leets family decided to take a trip to our home town. We drove over 3000 miles with two dogs. It was a great trip. We got to see family and friends, some of whom we haven’t seen in years. We ate so much food, that I think we could fast for a month and still not get hungry. I’m only kidding of course. 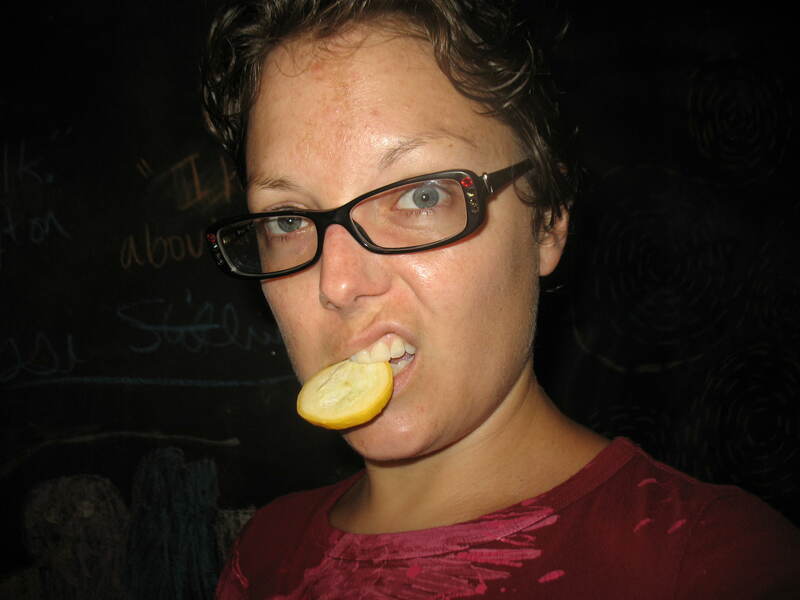 I had every intention of blogging about our food ventures while we were gone. The thing about hanging out with people you haven’t seen in years is you are so wrapped up in their company that you forget to take pictures. Like all good vacations it had to end. T and I were very happy to be home when we finally got back. 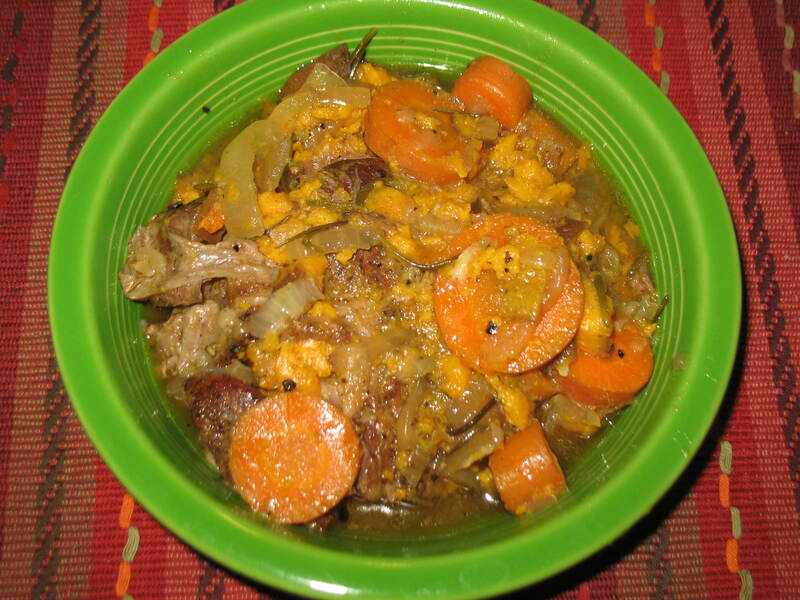 This meal is a simple meal that has comfort written all over it. The ingredients are simple and the herbs were fresh from my back yard. I have a hedge of rosemary bushes. Yes, bushes of rosemary. This plant is so hearty that is thrives in our hot summers and has survived several freezes. If you think you can’t grow plants, try rosemary. It tastes yummy too. Heat a large dutch oven to high heat. 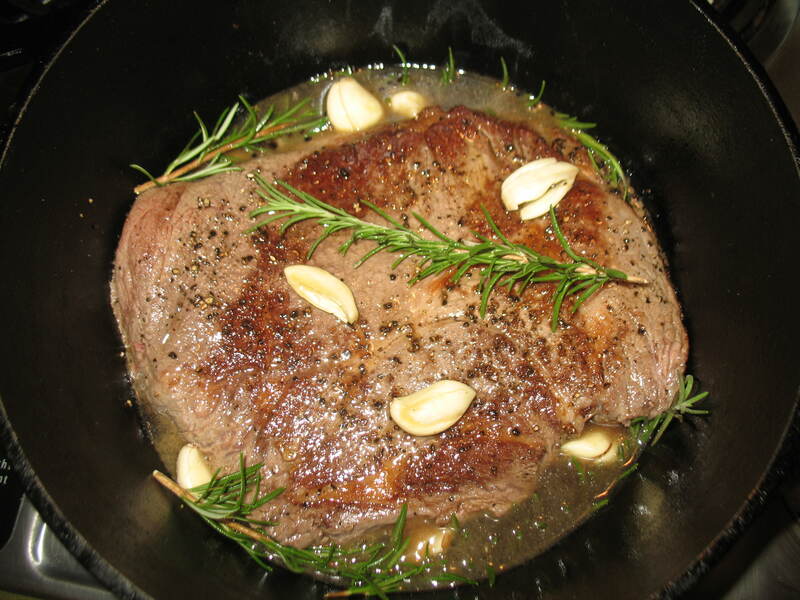 While the pan heats up season both sides of your roast generously with salt and pepper. Peel your garlic. When the pan is very hot add oil. Sear the roast on both sides, approximately 1-2 minutes. 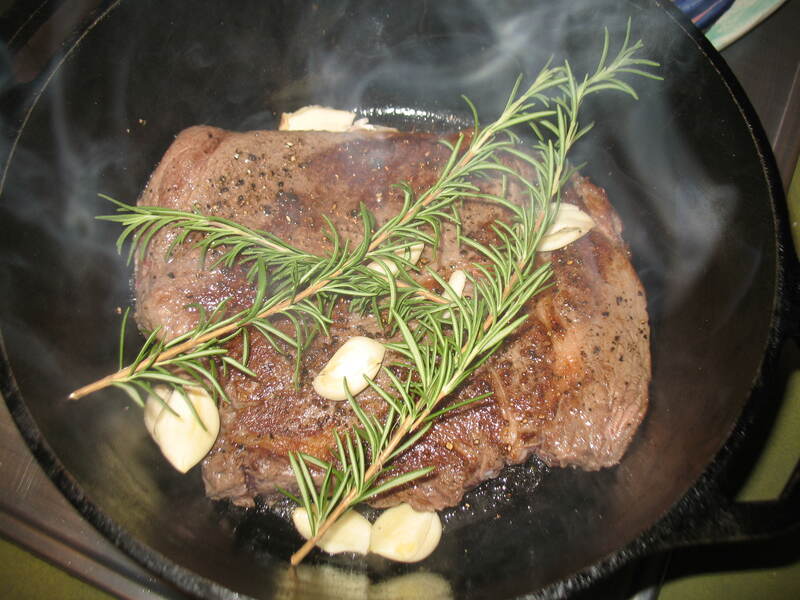 You want a nice browning so that you have that great full flavor when your meat is done. 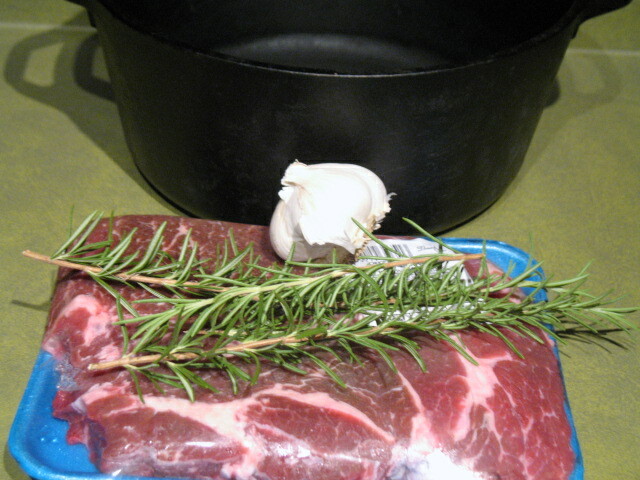 Turn the stove off and add stock, garlic, and rosemary. 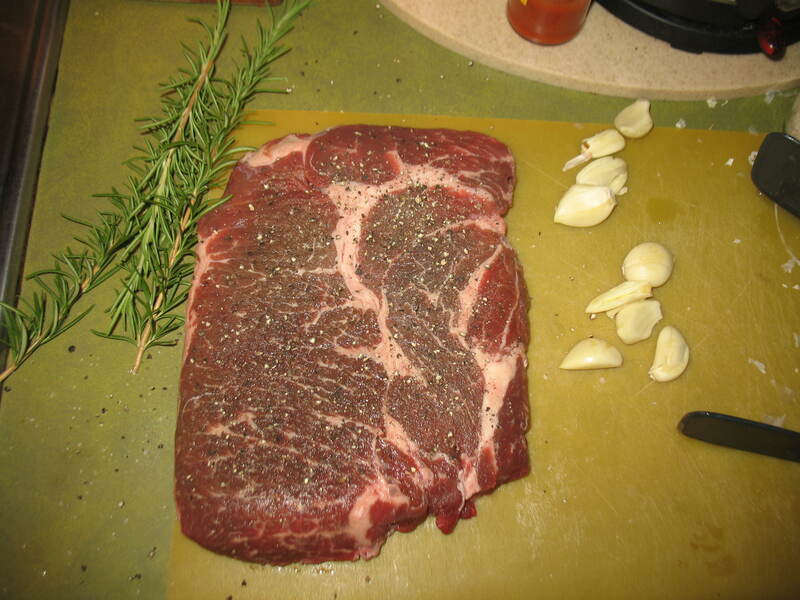 Try and tuck two of the sprigs down on the sides of the meat. 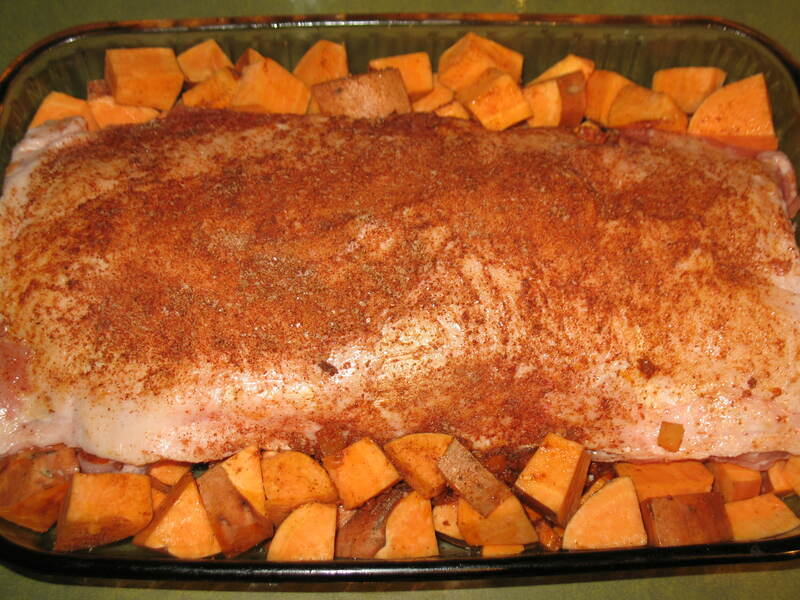 Cover the roast and put in the oven on low heat. Cook meat for 2 hours. 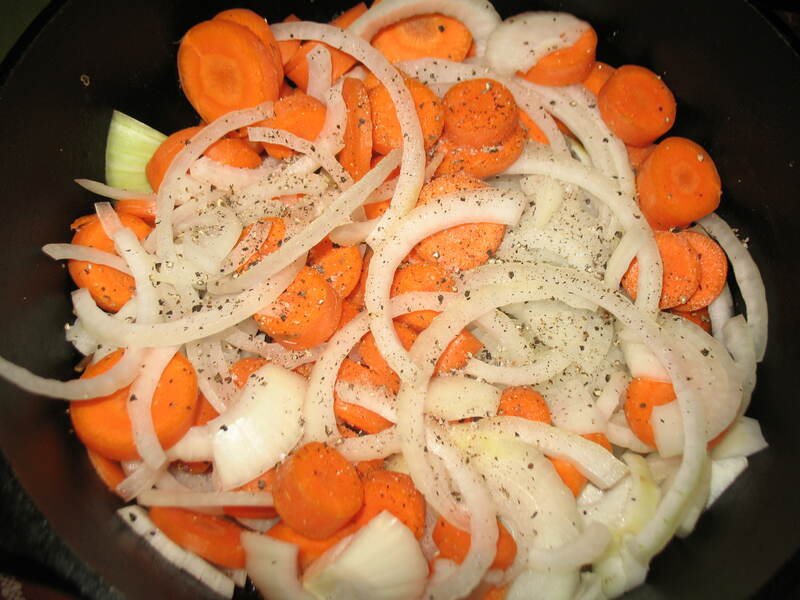 Chop vegetables and add them to your pot. Continue to cook until the vegetables are tender, we left it in for another 4 hours because we went to the movies. The roast is done when you can pull it apart with a fork. 3 hours would be sufficient cooking time. 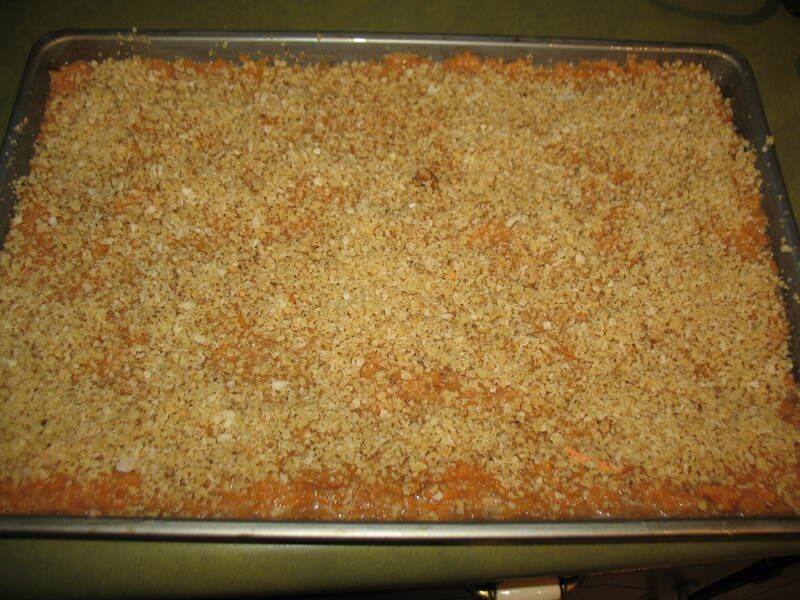 We added the sweet potato at the same time as the carrots and it ended up very soft. I suggest you leave it out until the last 20 minutes of cooking so it stays a little more firm. This was a perfect comfort meal after days of driving and eating on the road. This is a perfect meal for a busy day because there are very few ingredients and you can practically ignore it until you’re hungry. That’s what we did.